Joshua Dix is a 33-year-old philosophy major at West Chester University. Many would assume that he had simply gotten a late start on his education, but that is not the case. Dix enrolled back in 2003, opting to take advantage of the free tuition granted to him through his mother’s employment at WCU. But why hasn’t he graduated yet? 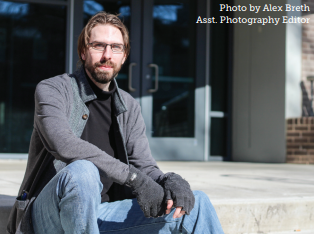 During his first time here, Dix decided to learn for the sake of learning, not graduating. This time around, Dix is focused on getting his degree while still leaving room to learn for the sake of enjoyment. He believes that he will graduate this year and plans to attend law school following graduation. Katherine Mash is a third-year student majoring in communication studies. She can be reached at KM854840@wcupa.edu.